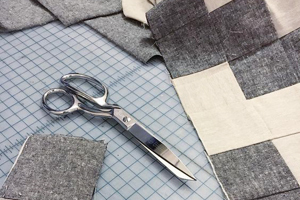 I’ve been reading Lonny since they first launched as an online magazine in 2009 — they’ve even featured some Cotton & Flax pieces in past issues. I’ve always been drawn to their aesthetic, a mix of super fresh modern design and indie artist spaces. 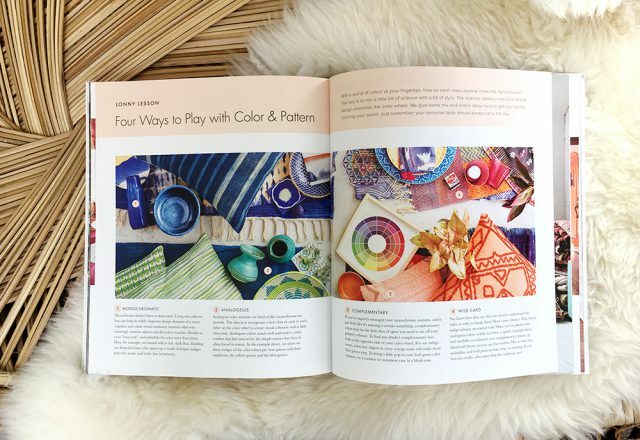 Their new book is a mix of gorgeous home tours that are truly unique, plus their system for creating a home that reflects your values and priorities. Lonny’s editors encourage envisioning new possibilities for your home, and creating a space to support your intentions and dreams. This starts with examining pain-points in your home: do you avoid cooking because your kitchen is cramped and disorganized? 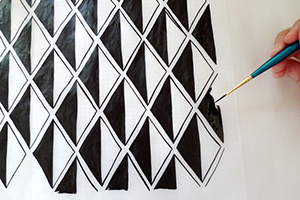 Is your office uninspiring? This goal setting approach aims to help create meaningful changes in your home that can positively affect your daily life. 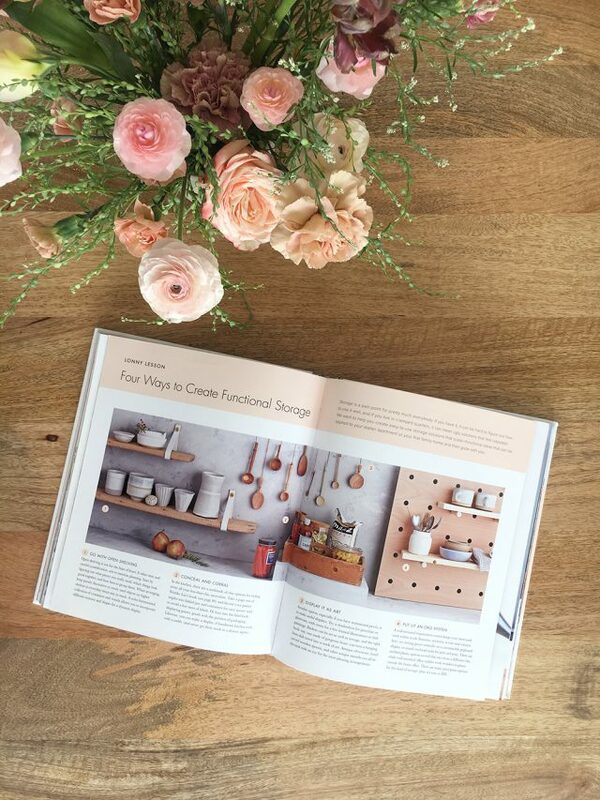 The majority of the spaces featured in the book were created and styled by professional interior designers, but writer Sean Santiago and the Lonny editors make a point of highlighting how you can achieve similar results in their “Lonny Lessons” peppered throughout the book. 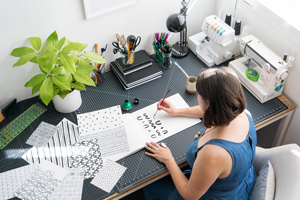 Offering suggestions about topics like lighting, color, mixing patterns and styles, and adding plants to your home, the editors break down how you can create a home haven that suits your own tastes and budget. 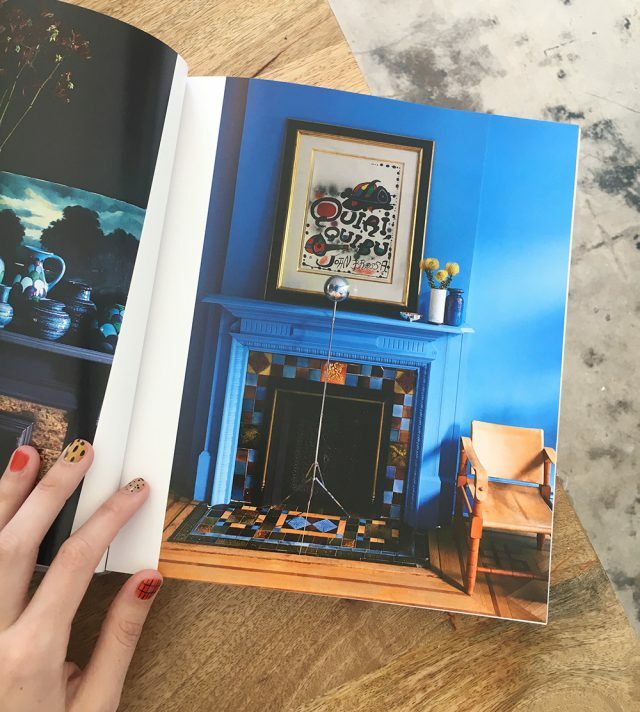 One of my favorite things about this book is that showcases modern homes using bold color. It’s a nice change from the “white cube, natural wood, fiddle leaf fig” spaces that proliferate on Pinterest. I love finding Scandi-inspired modern interiors that don’t shy away from bright hues. It was also nice to see a diverse group of homeowners/renters featured. Beyond just style, it’s nice to see a more inclusive collection of homes in the interior decor space. How cool to find my friend Dabito’s home featured toward the end of the book! Even though Dabito tends towards the more bohemian end of the modern decor spectrum, you can tell that we share a love for a juicy color palette. 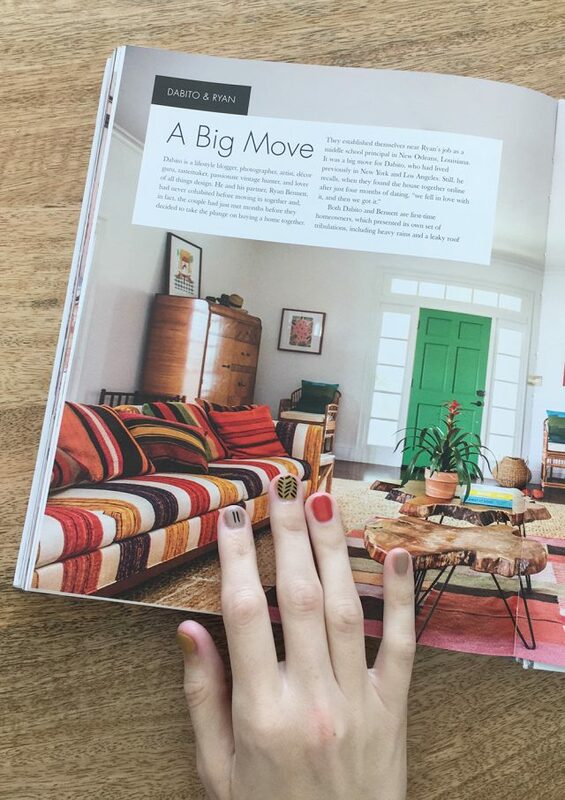 Look how well his living room matched my Hello Birdie manicure! 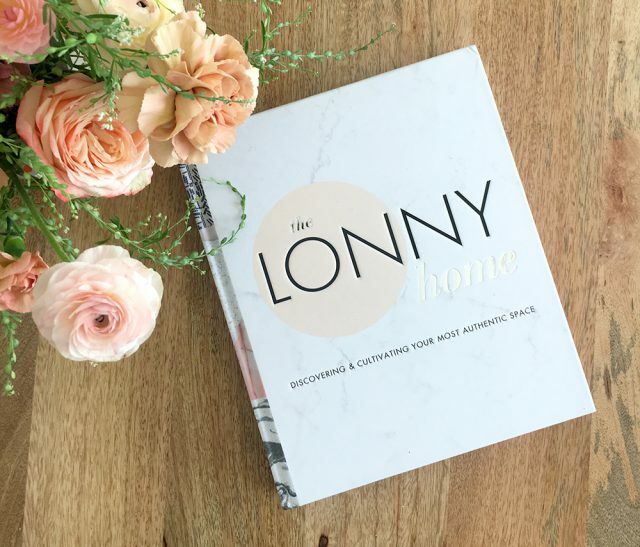 For vibrant home decor inspiration this season, pre-order a copy of The Lonny Home before it debuts on May 7th!